Different individuals have different tastes, and for some people, a dream kitchen would be cutting-edge. They’d be looking for sleek stainless steel countertops, low-profile fittings, and moody, minimal lighting. 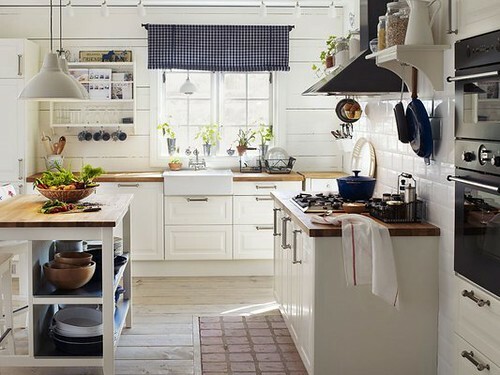 for others, though, the kitchen is the heart of the home – a place for the family to gather together to eat. you enjoy spending time cooking or spend more than a little time doing it each day, it’s natural to demand a modicum of comfort from your kitchen. It is for this reason that traditional, cosy kitchen styles remain popular no matter where you live. If you want to create such a style, you’ll have to think carefully about what you fill your kitchen with. Read on for a few top tips. Modern kitchens are all about minimising any impact on the eye; the idea is to tuck everything away invisibly. In a comfy, cosy place, that isn’t so important. You can display your accessories with pride. Add a splash of colour by choosing brightly coloured mugs and displaying them – wall-mounted pegs are a great and practical idea. In fact, try to pick interestingly-coloured items for all over the room. Does your coffee grinder live on the counter? If so, make sure it adds something to your kitchen – pick one with an unusual colour or a cute design. Cookware, too, comes in multiple shades. You might even be able to colour-code your different sets. This tip will come as a surprise to few. There are few things so quintessentially ‘country’ as real range cookers. These feature a truly classic design which can transform an otherwise plain room. Aside from their appearance, the fact that range cookers tend to be quite large probably helps them to assume centre stage in any kitchen. Practically speaking, you have a number of options. A range of differently fueled varieties are offered, from the old-fashioned wood burner to more modern oil and gas models. If you’re worried about the cost of running these traditional cookers, it’s worth bearing in mind that, contrary to popular opinion, they do not need to be left running 24/7. It is true that one famous brand, Aga, does need to be burning away at all hours. However, there are numerous competitors on the market which are far more economical. 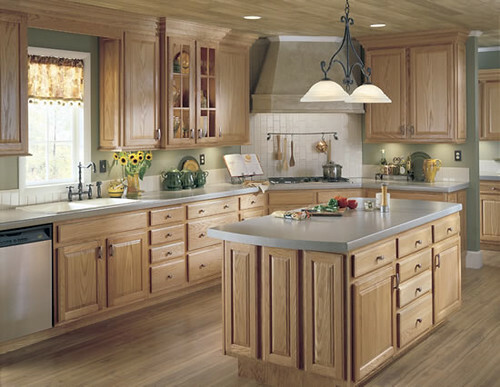 When outfitting your new kitchen, try to use traditional materials. This is likely to be some sort of wood, but braver designers could opt for some sort of polished stone. Whatever you choose, make sure colours are muted. This will help to highlight the spots of colour provided by your gadgets and cookware, as well as prevent a sensory overload. If the room feels a little too roomy and you could use an extra work surface, consider buying a movable island. These can be highly practical – you can even get a hollow one with a swing door and use it to hold your bin. Katie Byrne is a freelance blogger and interior design enthusiast.